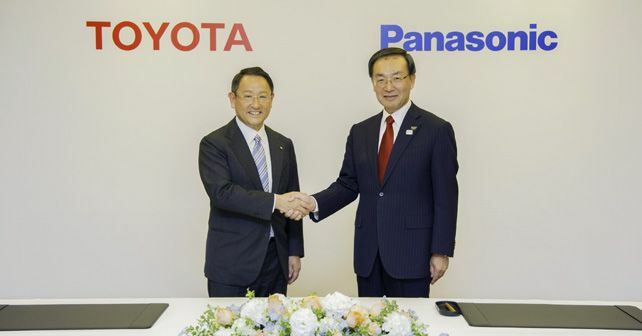 Toyota and Panasonic will form a new joint-venture for the engineering and production of automotive prismatic batteries. The new business will begin operations by the end of 2020. In order to overcome the present shortcomings of the battery technology in the automotive sector, Toyota Motor Corporation (TMC) and Panasonic have joined hands to develop a new business entity that will focus on the research, development, production engineering, manufacturing, procurement and management of automotive prismatic lithium-ion batteries, solid-state batteries and next-generation battery technology. With this, both organisations are keen to work on several aspects of battery technology, such as bringing down production costs, ensuring better energy density, reducing charging time and, at the same time, also making the entire electric ecosystem more effectively recyclable. Both Japanese stalwarts have agreed to share the initial collective workforce of around 3,500 personnel on this new project. The products developed by the new joint venture will, in principle, be sold to numerous automotive manufacturers across the globe through Panasonic. While Toyota will offer its technical know-how, manufacturing capabilities and deep understanding of the electric car market to this venture, Panasonic will bring to the table its mass-production technologies, existing technical advancements of battery manufacturing and a wide customer base from Japan and overseas.